Young top talents are optimistic about their careers. They assume that new technologies will bring new industries and opportunities. Nine out of ten expect positive effects through automation and artificial intelligence (AI) - and almost all consider the use of intelligent systems for (selected) management tasks as beneficial. 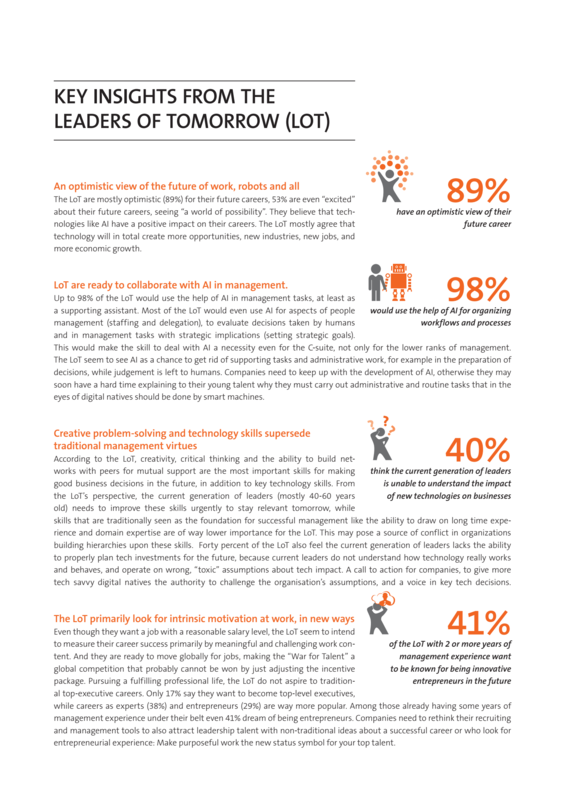 This is shown by the results of the latest "Global Perspectives Barometer 2018 - Voices of the Leaders of Tomorrow"; for which the GfK Verein and the St. Gallen Symposium interviewed over 1,400 top talents from more than 90 countries. Den kompletten Report mit allen Details (nur auf ENG verfügbar), eine Übersicht mit den Key Insights, die Pressemitteilung und die Grafik finden Sie auf dieser Seite zum Download.